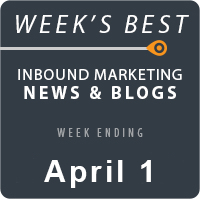 This week brings some major shakeups in the land of inbound marketing. First, Amazon introduces its new mobile ad platform, and some experts are weighing in with commentary on the potential of Amazon to actually pose a threat to Google’s AdWords. Could it really be true? In other news, Facebook is launching a revamped news feed design. Again. What’s different this time? Well for starters, the new design seems to be actually getting positive feedback. That has to be one of the first times EVER Facebook has made a major change that’s been readily accepted. That said, most users haven’t yet been switched over. So when that happens, we’ll be prepared for the potential b***h-fest. The major change? The design focuses much more heavily on images. 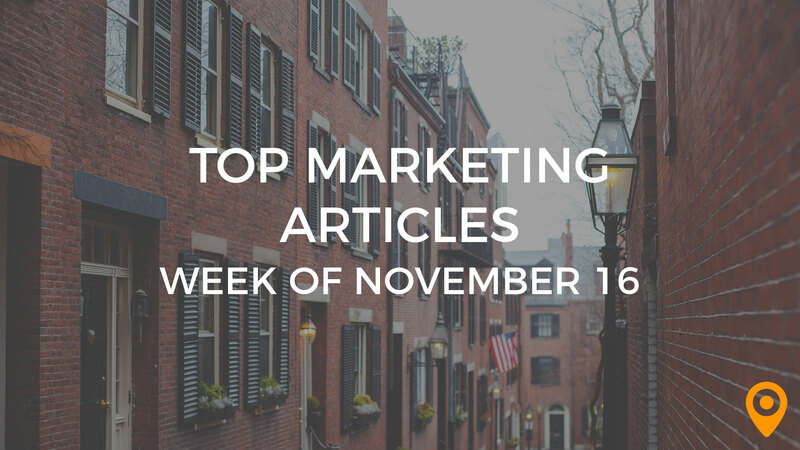 And if you read through the rest of our roundup this week, you’ll find plenty of convincing evidence that multimedia is quickly becoming the driving force behind digital marketing. And, because we found so much valuable info in the blog-o-sphere this week, we’re giving you a few bonuses–including an infographic, a roundup and a free download. Check ‘em out below! Conductor Blog provides a thorough 10-step plan to achieving your SEO goals. This is Part 3 of a 3-part series, so be sure to check out Part 1 and Part 2 for the remaining tips. If you’re an online marketer, you understand the value of being different and standing out from the crowd. The Sales Lion has the inside scoop on four local SEO and content marketing strategies that no one’s talking about. Did SEO kill the copywriting star? Find out how the industry has changed for copywriters at Davis Advertising. Facebook has unveiled its latest changes to its news feed design, and this time, the response so far is positive. Check out what SHIFT Communications has to say about how the new design will impact marketers and PR pros. Don’t stick to Pinterest for sharing image-rich content. It’s clear that media is taking over the world of social. Poynter discusses a study which found that multimedia increases engagement on Twitter, as well. It’s not enough to just be on social media. You’ve got to engage your followers. Loyalty 360 has four actionable tips for boosting engagement. Can Facebook Graph Search help multi-location companies improve their local search presence? Jon Schepke offers up some helpful tips on using Graph Search to take control of your multi-location presences at Search Engine Watch. Quicksprout provides an excellent tutorial on optimizing for local search and social. If you’re looking for some step-by-step information on selecting keywords for local search, this is it. And now to satisfy our undying thirst for infographics. Pop quiz, put your books away: Is local search the next frontier in marketing? Wait for it…go find the answer at MyCustomer.com. Are all email service providers (ESPs) created equal? There’s a difference between email marketing and just getting it out the door. Find out more at EmailVendorSelection.com. Do you leave your subscribers hanging? Learn why sending a welcome message is critically important to building relationships with your subscribers. Another great post by Julie Verhulst at Ciceron. What happens when your subscribers stop opening your emails? Good news: It’s not a lost cause. Cara Olson offers up some actionable advice at MarketingLand. What are the impacts of mobile trends on search analytics? Anita Ferrer shares her views at Associations Now. TSG Global dishes out a slew of stats on mobile marketing and how SMS strategies can help you reach a larger portion of the mobile audience. Are you producing content for the sake of producing content? Find out which content marketing tactics offer the best ROI at eMarketer. Can you guess which strategy provides the biggest bang for the buck? No cheating. Content Marketing for SEO: What works, and what doesn’t. All packaged into a beautiful infographic at Business2Community. If you could name one person from whom you could learn valuable lessons in content marketing, who would it be? We’re guessing Elton John is probably not at the top of your list. Nonetheless, there are a few things you can learn from the famous crooner. Check it out at Engage, The Blog. Looking to improve your landing page optimization? Diamond Website Conversion names the three key questions you should ask yourself first. What’s the difference between conversion and persuasion? Uhuru Network explains. Morgan Linton reveals a few conversion optimization hacks he’s learned by building more than 200 websites throughout his career. It seems crazy that an element as simple as a button can have a major impact on your conversion rates, but your call to action button can make or break you. Here are six key factors to consider when designing your CTA button by Usabilia. Windows Live Sender Reputation Data could rock the world of email marketers—or it could be the next greatest thing in the world of online reputation management. It all depends on your level of email marketing prowess. Hint: Kick it up a notch, use best practices and you’ll be just fine. Get the details at eConsultancy. Search is vitally important when protecting your online reputation. Take heed: Good rankings don’t necessarily mean you have a good reputation. Memeburn has all the details. Trackur has some creative—and quick—tips for taking control of your online reputation. We told ya we were feeling extra news-y this morning—and that means extra goodies for you. Here are a couple more valuable and/or interesting tidbits we just couldn’t leave out. Including, of course, an infographic and a roundup. Is Facebook—gasp—becoming UNCOOL? Is it possible? We’ll take a look at the implications of Facebook Fatigue in a future post, but for now, here’s a little Friday morning humor for you from All Things D.
Content Marketing Daily by White Horse Digital has an awesome roundup of content marketing and social media blogs for the week. Mapping out your strategy is the first step to success. Download a free Social Media Map for 2013 from Overdrive Interactive for a comprehensive overview of the world of social media. The return to fundamental SEO: Are we going back to the basics? GetPopularFast.com has a detailed infographic illustrating how Panda, Penguin and other factors have changed the face of SEO.